I glanced into the rearview mirror expecting to see the baby smiling and staring out her window. She had gotten very quiet all of a sudden, which I found odd because she had been shrieking and arching her back just minutes before. Her head was nodded, eyes were closed. She was sound asleep. She was supposed to stay awake for ten more minutes so that I could feed her lunch and then put her down for a 1 p.m. nap. Now I was carefully weighing my options, hoping this short catnap would not foil the 2 1/2-3 hour nap (aka: mommy's free time!) that she was supposed to take. Hope was kept alive for a few short moments when we pulled in the driveway and I unbuckled her without her waking up. I picked her up, cradled her in my arms and carried her all the way upstairs with her eyes closed, and completely content. Yes. We made it! I'll feed her lunch after her nap, I thought. Within seconds of my laying her down that wispy head of strawberry blond hair popped up on the side of her crib grinning wildly like a jack in the box. Ha! Gotcha! She seemed to say while smiling through her binky. We moved on to plan B.
I carried her downstairs, fed her some lunch and decided I would attempt another nap time in 45 minutes or so. She only slept for 10 minutes in the car, she's got to be tired soon, I reasoned. I'm sure you can see where this story is going. That sweet face was not the least bit tired 45 minutes later. Nonetheless, I gave her her binky, pulled the shades down and left her in her room. She never cried, she simply spent the next 35 minutes jumping up and down, banging on the wall and rattling the side of her crib. Because she was supposed to take a nap I had all sorts of good plans lined up. Clean the kitchen, go for a run (Scott was working from home), sort through the massive pile of crafts, pictures, old mail, magazines and papers that were piled high in the dining room begging for attention since the middle of July (and growing taller with each passing day!). After 35 minutes I relented, went in, picked her up from her crib and went huffing and puffing my way down the stairs with her in my arms. You are supposed to be sleeping! I reminded her sarcastically. She is supposed to be sleeping! I reminded Scott as I furiously pulled clothes from the washing machine and launched them into the dryer, slamming the door for emphasis. All sorts of grunts and groans seemed to bubble to the surface of my previously calm demeanor...So many so that Scott eventually told me to just go for my run and leave the baby with him, which I refused to do because I knew he had a lot of work to finish and would not get anything done with her at home. I huffed and puffed and put the baby in the jogging stroller. I huffed and puffed and put my sneakers on. I huffed and puffed as I ran back in the house to get her binky. And then I got tired of huffing and puffing and did what we women often do too well...especially during a PMS week...I sat down and cried and decided I wasn't going for a run after all because everything is extra-specially dramatic and emotional during a PMS week and I no longer felt like strong mom ready to run. I was quite tempted to not share this post because I was afraid of what you might all think of me if you read it. She cries? That easily? Over something so silly? 2. 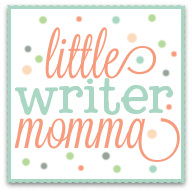 I started blogging because I wanted to be able to encourage other moms, especially if they were feeling as overwhelmed as I was from time to time...ok, most of the time. I suppose I thought that somehow I'd be able to do that in sweet messages full of honest encouragement, but only if I felt I had it all together. They would be posts that said, "Ah yes, parenting is so hard, but here are 5 handy tips for meal planning that will change your life!" Or, "Are you struggling with time management or clutter in your home? Well then, you've come to the right place because my home is never cluttered for more than two days, I have a fantastic cleaning schedule and if you can just implement these 3 practices into your life you'll be well on your way to managing the 7,345 pieces of small plastic in your house too!" I've read many of those articles online and somehow they have failed to change my life...I think it happens somewhere in the execution or failure to execute...maybe I'm reading the wrong articles! In all honesty, I haven't figure out the niche of being encouraging without being totally transparent and transparent these days means tired, confused and disorganized much of the time. The mommy meltdown was short lived. They usually are. As much as I can be prone to giving into my discouragement, and find myself in a slobbery heap of tears, I bounce back pretty quickly and was on to rolling the ball with Aubrey five minutes later. She didn't seem to notice my bad behavior and was happy to oblige with whatever silly games I came up with, so I folded socks and she flung the mismatched ones around the living room, we read 3 pages in a book (before I lost her attention) and played peek a boo with a helium balloon. She has a way of prompting enormous smiles from me--she's hilarious-- and I knew it ultimately wasn't her fault that she wasn't tired. 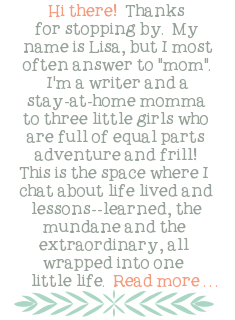 And so it goes on the roller coaster ride of stay-at-home or work from home motherhood. I do think some of this is unique to the experience of being at home everyday...a place where it's hard to set goals that will not be deterred, you are constantly needed and the whirl of meals and toys is never-ending. I try not to have too many expectations on any given day, because plans are often quickly changed, but with the two big girls back in school I did start to have ideas about the things I might be able to get done with just one little one at home. One little one who is supposed to nap. I did get out for that run eventually. Aubrey finally fell asleep around 3 p.m. and I was able to squeeze a run in and landed right back on my doorstep as the big girls bus pulled down the street. However, the papers are still piled high in the dining room and I'm sure I've already forgotten to send a form back to school that needed to be signed (it's hiding somewhere in the pile of papers!). I'm hoping, sometime during this school year to actually find a meal planning system and a house management system that works for me. When I do, I promise to share it! Hopefully it will change all of our lives for the better! In the meantime, I'm incredibly thankful for the practice and discipline of running in my life and for the little spaces of time where I'm able to fit it in. I'm thankful for baby smiles and laughter. I'm thankful for the ability to laugh at myself when all is said and done. In the midst of the craziness I will continue to practice thankfulness, because on some days its the only constant we've got and the only thing we have control over. Oh Lisa! I'm so thankful you continue to blog, and that it is as real & transparent as it is. I feel like I have a twin out in NY~ seriously can relate to your days & love your way of bringing the humor out of the chaos. 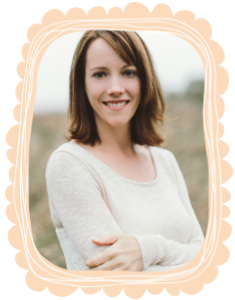 Somehow, it is so comforting to know we are not alone in these motherhood days. Oh and I was in tears over my Pampered Chef stoneware that broke last night...even though it is covered under warranty. 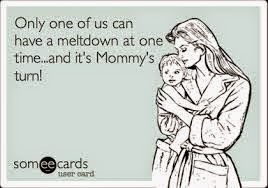 Those mama tears... :) Keep up the great work on your homefront! You're speaking to my heart! "In the midst of the craziness I will continue to practice thankfulness, because on some days its the only constant we've got and the only thing we have control over.